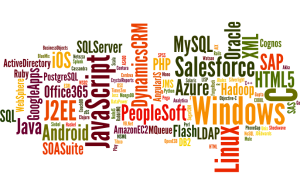 One of the most common objections I hear among my large enterprise and government clients when discussing adopting new technologies is “We’re a Microsoft shop so why would we look at a Java-based tool?” or open source, or Google, or Salesforce, and the list goes on. This objection is grounded in the opinion that increasing the technology mix increases complexity, and thus increases the operational risk and cost. However, the biggest challenge for IT executives has shifted from tightening their operational budgets to managing the constant risk of technologies becoming unsupported or having a vendor development path that no longer aligns with the enterprise’s needs. The technology market is evolving and changing faster than ever. 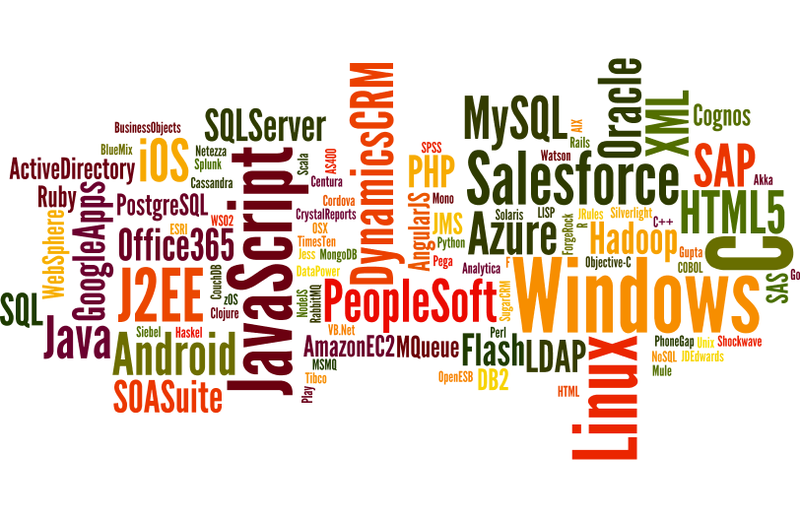 Programming languages grow and wane in popularity and support over a cycle of just a couple of years; new frameworks breath new life into technologies that were previously left to die; acquisitions can make entire enterprise platforms obsolete overnight; and new innovations are happening constantly throughout the IT stack from networking, to virtualization, to application platforms, to business applications. In such a rapidly changing and unpredictable environment, the best approach to managing risk (as any good investment adviser will tell you) is to diversify. In fact, any IT organization that doesn’t have an openness to innovate and investigate new technologies will ultimate die a slow death through obsolescence and operational bloat. Instead of being afraid of the operational complexity and cost introduced by shaking up the technology stack, IT executives should be embracing them as opportunities for their teams to develop new skills and to gain a wider perspective on how to implement solutions. Instead of remaining within the comfortable confines and protections of a given development framework, developers should be pushed to understand how different technologies interoperate and the importance of having disciplined SDLC methodologies to deal with complex deployments. The key to success in all of this is integration. Developing mature integration practices like modular design, loose coupling, and standards-based interoperability ensures that new technologies can be plugged into and unplugged from the enterprise without cascading impacts on existing systems. Disciplined SDLC methodology especially around configuration management and change control allow different technology teams to work in parallel, resulting in more efficient project delivery. IT organizations must adopt a culture of openness and curiosity to from the inevitable changes to their technology ecosystem. They must invest in mature and disciplined integration practices to effectively manage those changes. Foci (pronounced “foh-sahy”) is a mathematical term meaning multiple points of focus. That, in essence, describes how we approach problems. IT problems are complex, extending well beyond the technology and requiring careful consideration of people and processes. We at Foci are experts in identifying all of the factors driving our clients’ problems and maintaining focus on each and every one of them throughout the project.